The Egyptian stock market’s main EGX-30 index has lost 9.8 per cent of its value since the beginning of September, to close on Monday at 14,200 points, its lowest since November 2017. On 18 September alone, the market lost 3.8 per cent, its highest one-day loss since the devaluation of the Egyptian pound in late 2016. The retreat was expected and was considered to be limited when compared to the heavy losses shouldered by Egypt’s peers in the emerging markets group worldwide, however. The market had followed an upward trend at the beginning of the year and reached its peak at the end of April, hitting 18,200 points. The recent hike in US interest rates has not only increased the appeal of investing in dollars as compared to emerging markets’ stocks and currencies, causing sell-offs, but it has also affected nearly all countries borrowing in dollars. There has also been the adverse effect of threats of a full-blown trade war between China and the United States on the emerging economies and their stock markets. Brazil, Turkey and Argentina have been notably hard hit. This has been reflected in a worse than expected performance of the MSCI index for emerging economies, with losses exceeding 20 per cent since January. The index tracks 24 emerging economies and measures assets worth $109 trillion. The retreat has translated into losses of almost $900 billion off the index’s overall market capitalisation. MSCI data shows the index has 830 stocks, and Egypt has three equities on the index, the Commercial International Bank, the Eastern Company and Al-Sewidi Cables. Last week’s hiccup on the exchange also has domestic reasons. News of the arrest of Gamal and Alaa Mubarak, sons of Egypt’s former president Hosni Mubarak, on charges of stock-market manipulation has shaken the market as people sitting on the boards of two of its heavyweights, EFG-Hermes and Qalaa Holdings, have been detained as well. EFG-Hermes’ shares dropped 8.6 per cent, while shares in Qalaa Holdings were down six per cent on Wednesday. Another factor that rattled the market was the decision to nationalise Muslim Brotherhood assets that had previously been frozen. The declines were spurred by heavy sell-offs by local individuals and institutions, and foreigners were net buyers in the market with purchases of LE100 million on the same day. Statements by Finance Minister Mohamed Maait to Reuters indicated that Egypt’s economy was proving to be “resilient” in the face of the emerging markets turbulence and there were additional sources of funding to draw on if needed, he said. The statements came as Japanese brokerage firm Nomura this month listed Egypt as one of seven emerging markets countries, including Turkey and Argentina, at risk of foreign-exchange rate crises. While the pound remained relatively stable, amid rumours that the Central Bank of Egypt (CBE) has been interfering to support it, Egypt started to feel the pinch of the emerging markets crisis with investors in treasuries asking for higher yields and pushing it to cancel four auctions over the course of two weeks. The value of foreign holdings in Egyptian treasuries declined to $17.1 billion at the end of July compared to $23 billion in March. Egypt plans to sell $5 billion in bonds to overseas buyers over the next few months. Talking to the US channel Bloomberg on Tuesday, Maait said the government had sought to minimise its borrowing costs by relying more on international bond issuances than expensive domestic debt. As the emerging markets rout makes investors more cautious, the government is looking to expand its options and will test the appetite in Asia, he said. 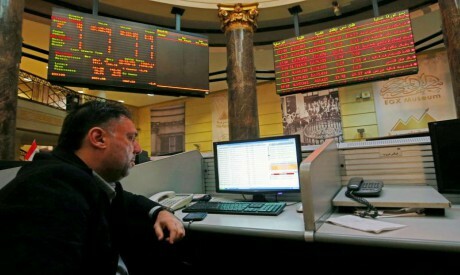 However, observers fear that the lack of liquidity in the markets with individual investors selling more and more of their holdings for fear of a meltdown could undermine the potential of a series of pending initial public offerings (IPOs) expected in Egypt in both private and state-owned companies. Demand for shares in CIRA, a private group investing in education whose IPO ended on Tuesday, has gone some way to negate these doubts. Appetite was strong for CIRA shares, with the tranche offered to retail investors 4.5 times oversubscribed. The tranche offered for institutional investors was 10.36 times oversubscribed amid heavy international demand. The IPO included 38 per cent of the company’s shares. The government plans offerings in five state-controlled firms already trading on the stock exchange by the end of this year to help trim its budget deficit to 8.4 per cent of GDP in the year to June 2019 and down from 9.8 per cent last year. Observers say that if the emerging markets crisis deepens, the government might postpone one or more of these offerings, however. It has said it will organise five IPOs in public companies in the coming three months. It will start in October with a 4.5 per cent stake in cigarette maker Eastern Company and a 20 per cent stake in the Alexandria Mineral Oils Company (AMOC). The government hopes to receive LE10 billion in receipts from such offerings between October and June 2019.